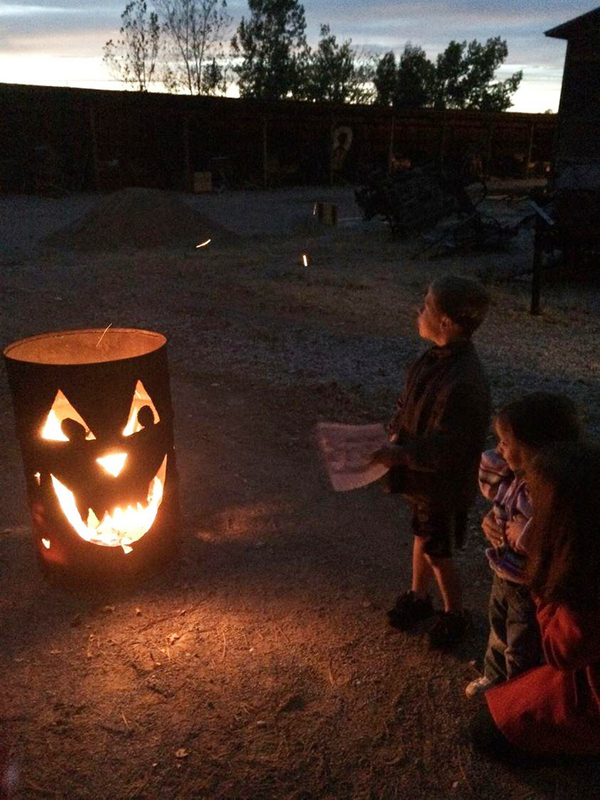 CEDAR CITY — October is here and it’s time to get ready for all the ghosts, goblins and things that go bump in the night at Frontier Homestead State Park Museum in Cedar City, where a collection of fun and thrilling events provide a perfect lead in to All Hallows Eve. Are ghosts real? Do spirits walk among us? Most everyone has had some type of experience they can’t explain. If you’re a believer, or just curious, Frontier Homestead is inviting you to join them Thursday at 7 p.m. for the presentation “More Than Ghost Stories – Paranormal Investigations in Southern Utah.” The event is free and open to the public. Join local paranormal investigators as they recount their ghost hunting adventures over the past year and share their findings with the public. The team has conducted investigations at numerous locations in an attempt to separate folklore and stories from genuine paranormal activities. Evidence from the investigations will be presented and discussed, allowing you to come to your own conclusions – is it real, or just your imagination? On Friday and Saturday, a family-friendly event returns to will get you and yours into the Halloween spirit; the “Haunted Homestead” will run from 6-8 p.m. each night. Not only will unique Halloween-themed games be provided, but there will also be spooky crafts, ghost stories told by local storytellers and other haunting surprises. Come explore the homestead and view spooky decorations. Bring a painted rock to trade at the “haunted house fairy door.” Admission is $5 per family or $2 per person and friends members get in free. On Oct. 15 join in on the ever-popular cemetery tour that will begin at 6:30 p.m. in the museum parking lot. Guests will learn of some of the more interesting headstones and stories about the graveyard – and may even hear about the rabid coyote. The event is free and open to the public. Please dress for the weather and bring a flashlight. Admission is free to this event. There is sure to be something to make you think, shake, or laugh at the Homestead Halloween events so come join in the fun. The Frontier Homestead State Park Museum is located at 635 N. Main St. in Cedar City. The phone number is 435-586-9290. It is open Monday through Saturday from 9 a.m. to 5 p.m., September through May, and June through August from 9 a.m. to 6 p.m. Admission is $2-$4. For more information call 435-586-9290, or visit the museum’s Facebook page or the website.